Last Sunday was the Dollshow, once again. You can guess that by then I was back from Kyoto and ready for hours of dolly craziness. ^^ The day was a little more difficult, as I hadn’t had much sleep the last days in Kyoto (I’m pretty sure our room had bad vibes, as time went by my sleep got worse and worse, to end with almost no sleep and a horrible nightmare the last night… :s) and getting up early and standing up for hours left me totally exhausted in the evening. But all the pretty things and nice chat with dolly people really made up for it, and once again I spent a great day! – a good entrance ticket (n°80)! Of course as usual I plan to upload all the pictures I took on my Flickr, although it might take some time. And I plan to write a few separate reports here about what I saw. Part of it deserves more details than just pictures. And now off to bed! This cute little doll is one of the one of the one of a kind dolls that were sold and then exhibited at the Odeco & Nikki anniversary event. I got lucky and won the right to buy her through the lottery. She’s number 035. Isn’t she cute? I’m not usually a big fan of tanned Odeco-chan, but I have to say this one is really adorable. I love the combination of tanned skin + freckles + bright blue eyes + pink eyeshadow. It seems they all had pink eye-shadow (or most of them had at least). I think it looks really cute. And original for a tanned dolls. 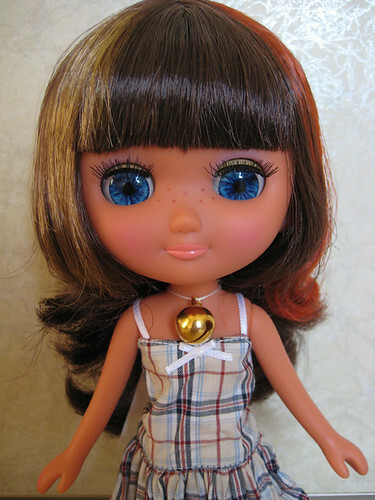 The long multi-colored dark hair work great with her skin, better than it did with the fair skin dolls. Saddly I won’t be able to keep this cutie at home. I’m in need of money right now. So I guess my loss will make someone else happy. ^^ She’s already been put for sale on some forums (TIB, myMomoko, Shopadollic), if you’re a member of those you can go check it out. Or you can go check my sales blog to find the details. I’m happy I got to see her close and I hope she will find a good and loving new home. 🙂 She deserves it. You can also find it at the top of the right column. 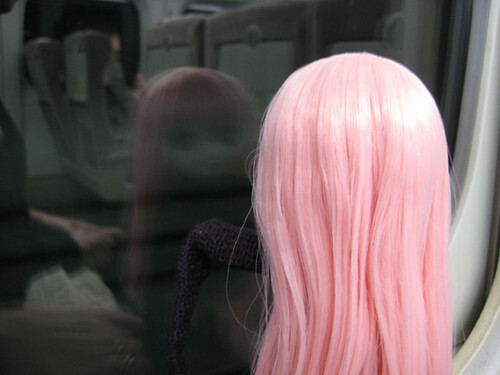 This is the cover of the next DollyDolly. I can’t tell you much more about it now, it will have to wait until it’s out and I bring it back home with me. I can’t wait! This book is based on a series of dolls created by Petworks (a Japanese company): Odeco-chan and Nikki. One of the doll, Odeco, is a little girl, and the other, Nikki, is a cat. They’re always released two by two, one of each type, and are supposed to be best friends. Each release comes with a cute card featuring an illustration and sometimes a little comic strip. They’re always very cute. I started collecting the cards even before I got really interested in the dolls. 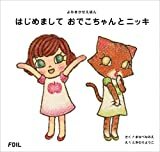 This book is an illustrations book, mainly targeted at children and fans of Odeco-chan & Nikki. The illustrations were made by the usual illustrator and author who work of their story. It tells the story of how Odeco-chan and Nikki got to know each other and become friends. It’s a very cute story. Of course it’s in Japanese, but since it’s targeted at children it’s very simple japanese that any beginner should be able to read (it’s written in hiragana and katakana) and understand. And I guess the illustrations are probably enough to understand what’s happening. I didn’t except to really like that book (I had a look at it because I collect the dolls), but I did. After reading it I had to get a copy. It’s so cute and refreshing. If you like children illustrated books and cute little friendship stories (it’s quite simple and short though), you might like this book. 🙂 Or if you like the Odeco & Nikki dolls of course!